Alternatively referred to as 'CD Pressing', CD Replication is where your discs are manufactured with your music or data already 'stamped' (or 'pressed') onto them - unlike CD duplication for lower volumes, where the data is 'burned' onto pre-manufactured recordable discs. This can include anything from commercial music releases (albums, singles, extended play etc) to practical guides or business brochures. 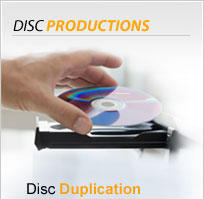 CD Replication is typically used for quantities from 1000 up to whatever number of discs you need! Turnaround for 1000 CDs is about the same as for 50,000 CDs, approx. 5 working days. 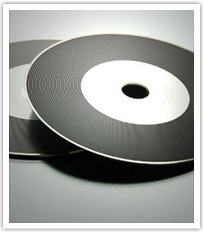 The higher the number of discs, the more significant the cost savings become. Options are available for pressed video and data CDs. see information about our low volume CD Duplication service, Screen Printing or Offset Printing, DVD artwork specilications and CD & DVD Packaging section for some ideas.